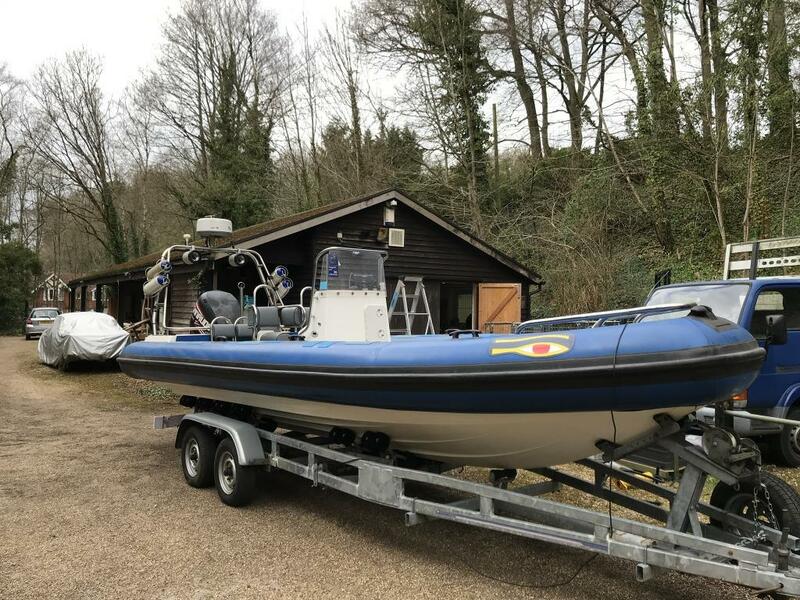 Basic Information Standard 2001 sports rib with stepped hull. 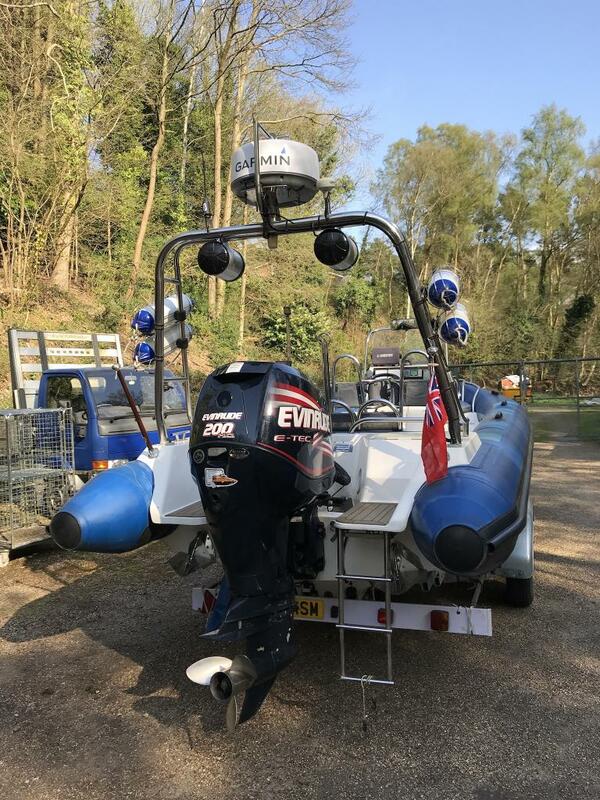 Fitted with a 2005 Evinrude 200 high output engine giving 225hp. 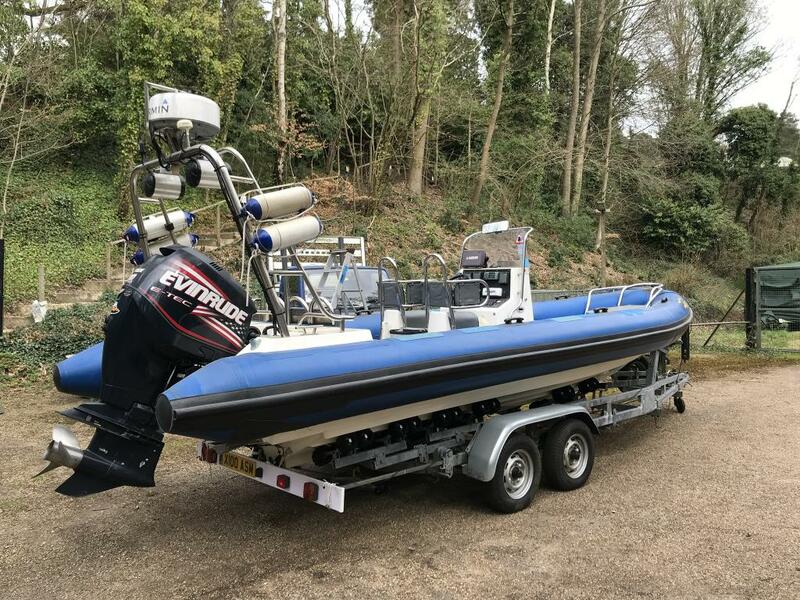 Sitting on a twin axle launch trailer. 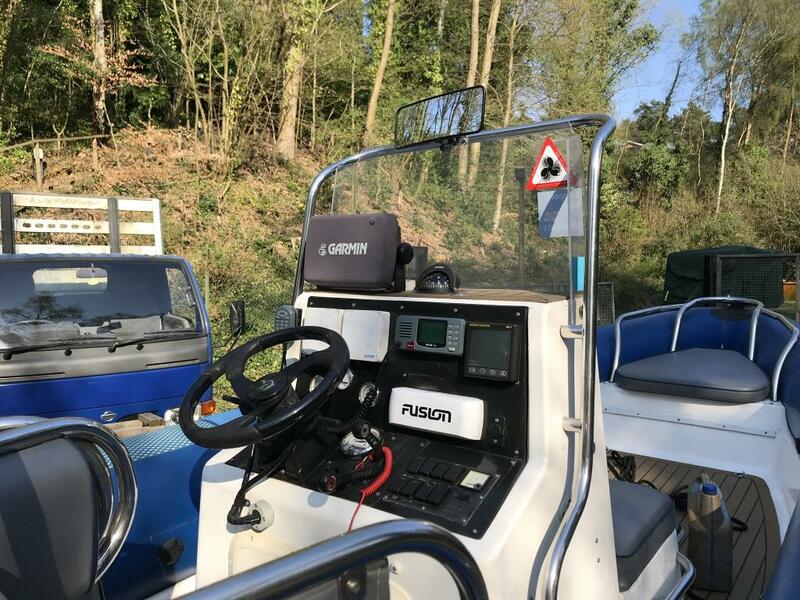 Garmin split screen plotter and infusion sound system. 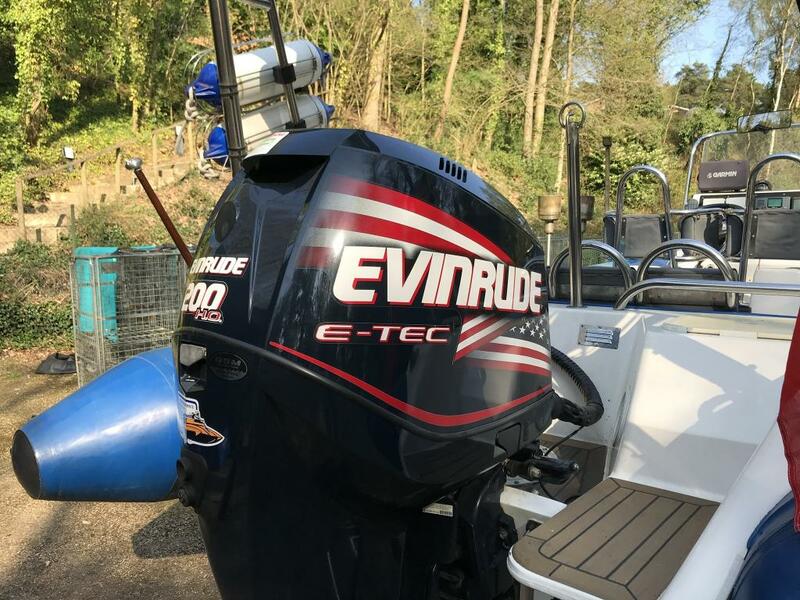 2005 Evinrude 200 factory tuned engine with race gearbox fitted by OSM. Stainless Steel prop supplied and tuned by Steel Develpments.